While open source software is ubiquitous, recognized across industries as a fundamental infrastructure component as well as a critical factor for driving innovation, the "open source" label was coined only 20 years ago. The concept of open source software - as opposed to free software or freeware - is credited to Netscape which, in January 1998, announced plans to release the source code of its proprietary browser, Navigator, under a license that would freely permit modification and redistribution. This code is today the basis for Mozilla Firefox and Thunderbird. The Open Source Initiative (OSI) regards that event as the point at which "software freedom extended its reach beyond the enthusiast community and began its ascent into the mainstream". But exactly what Netscape had done still didn't have a name. Then, at a strategy session on February 3, 1998 in Palo Alto, California, the term "Open Source" was coined for the first time by Christine Peterson, co-founder and president of the Foresight Nanotech Institute, a leading nanotech public interest group. * Eric Raymond, author of the widely cited 1997 essay and 1999 book The Cathedral and the Bazaar in which he detailed his thoughts on open source software development. 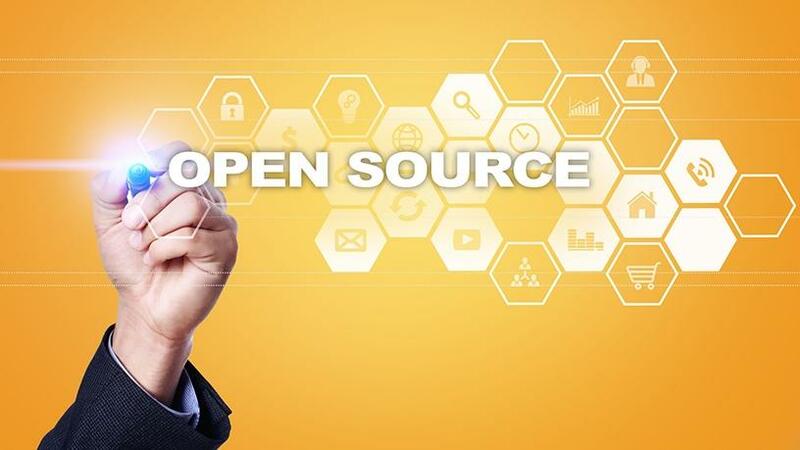 A month later, on April 4, the term "open source" was given a boost at an event organised by technology publisher Tim O'Reilly. This brought together the leaders of many of the most important free and open source projects including Linus Torvalds, the creator, and for a long time, principal developer of the Linux kernel. Others at that event included Tiemann and Raymond, as well as Sendmail developer Eric Allman; developer and computing consultant Kirk McKusick; the developer of the Domain Name System protocol, Paul Vixie; Brian Behlendorf, a primary developer of the Apache Web server; computer programmer Jamie Zawinsky of Netscape; John Ousterhout, chairman of Electric Cloud and creator of the Tcl scripting language and Tk toolkit; Phil Zimmermann, creator of the email encryption software package PGP (Pretty Good Privacy); Rich Morin, founder of Prime Time Freeware; creator of the Perl programming language, Larry Wall; and Guido van Rossum, author of the Python programming language. Also present were John Gilmore, founder of the non-profit digital rights group, Electronic Frontier Foundation;Tom Paquin, who oversaw the release of the Netscape source code; author and editor Mark Stone; marketer Greg Olson; and Fred Baker of Cisco. During the event they discussed the problems with the term "free software", mostly related to the different meanings of the word "free". Raymond proposed "Open Source" as an alternative while Tiemann suggested "Sourceware". Finally, the delegates decided to vote on the issue. The term "open source" beat the combined competition of "sourceware" or "free software" by three votes. Five days later, Raymond - who became the first president of the newly established Open Source Initiative (OSI) - made the first public call to the free software community to adopt the new term.